Facebook is taking a roadmap with which it will become that one superior platform with which you can do everything! 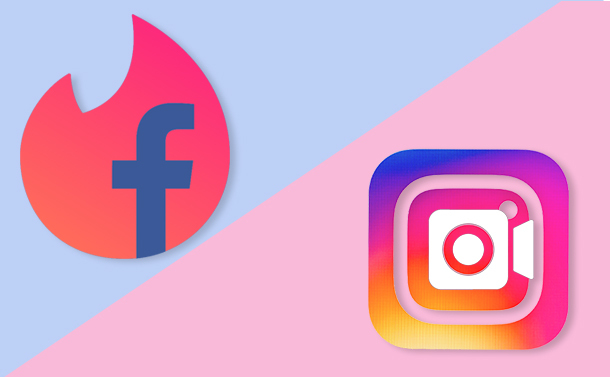 The experts have conveyed that if you opt in for creating a dating account on Facebook, it will be visible to your non-friends who have opted for the same. Although we already have a few dating apps, Facebook has claimed that its feature would be far better. The reason behind this is that it has more data about you and can help you find more relevant matches than any other platform. Furthermore, it has been explained that matches will be recommended based on several parameters such as dating preferences, mutual friends, groups, interests, etc. The testing of this feature will start later in this year! We are still doubtful about how successful this will be! It still has enough to catch up. We have witnessed how clumsy Facebook is in keeping its users’ data safe. Facebook Chief Product Officer Chris Cox has said that “Dating was always a natural fit for Facebook thanks to its ubiquity, data and trusted platform for identity.” Moreover, we cannot deny the fact that the platform which will enable you to find your “potential” soulmate will also allow the stalkers to track you down. One may argue that our true identity will not be released as only the name and place will be mentioned. However, today, even a fool can manage to join the dots and find the official Facebook account. It is not yet informed whether there will be algorithm that will sort your references or the list of all those who have unlocked this feature will be shown? Additionally, we don’t know that what prevention methods will be taken to avoid creeps from joining every local group where they can find dates? The experts have claimed that things like these are required to be made public before its launch. We don’t recommend you to not use this feature, but will you be able to trust same site even after debacle of “Cambridge Analytica”? Instagram is adding the feature of video chat for users and it is expected to roll out soon globally! This feature will you talk one-on-one or with a group of people! It is an interesting move by the crew that intends to make the browsing experience of users better. Instagram’s feature of live video has been accepted widely and now it has taken things to next level by rolling out the feature of video calling. At Facebook’s F8 conference, announcements were made about the changes that will be made in this platform! Apart from this the AR filters, revamped Explore page and a brand new anti-bullying feature in the comments section. This is like an ultimate makeover for Instagram. With video calling feature, you can make a video call to your friend or a small group. The fun part is initiating the video call will be as easy as snapping fingers and you can continue the same as long as your Insta is opened. If you want to go through your feed, you can do so and your video chat will not be interrupted. Talking about the explore page, it will have new feature buttons at the top of the page so that the users have option to swipe through various subject and view more feeds about it! With this, we’ll be able to see more of those feeds that interests us. Another very interesting thing is Instagram’s upgraded offensive comment filter. According to the experts, “comments containing attacks on a person’s appearance or character, as well as threats to a person’s well-being or health.” This was initially launched last year. Although it has been only launched for English language for now, we hope that it is soon available for other languages as well. WHAT IS THE RESPONSE FOR THIS? We are overwhelmed by the attempts Instagram is taking in order to enhance user experience. However, this photo sharing application is becoming too predictable. We know that the CEO of Facebook, Instagram and WhatsApp is same, but this doesn’t mean that all three of these platforms should become like one another. If the same continues, all three will become exactly same losing their individual identity! We don’t know what future holds for us, but we can alway hope that it is good and not monotonous!